Pagination is a crucial part if you want to create a pleasurable experience for users while they are on your website. As your blog gets filled with more and more blog posts, it is always wise to separate them using pages. Otherwise, not only will it become cumbersome, but it will also dramatically increase the load times of your site since all those posts need to be loaded together. Now, if you are building a WordPress blog, then incorporating the pagination functionality is very simple. By installing specific themes or plugins, you will be able to integrate the functionality into your blog almost seamlessly. Now, for this read, we will be looking at some of the best WordPress pagination plugins for introducing page numbers into your blog. The free plugins are all good and can help you set up a primary pagination system onto your website. However, if you want more control and advanced functionalities, then, needless to say, you will have to lean on the premium options. Starting off our list, we have WP-PageNavi, a free to use WordPress pagination plugin which has nearly a million downloads. No doubt it is trendy amongst WordPress – something which is routed in reliability and ease of use. All you have to do is install the plugin, and it will generate a new PageNavi settings page, under the settings section of your WordPress dashboard. From here, you will be able to tweak around with the labels that you are planning to assign to various portions of the text based on specific pages, current page text, text for first, text for last, and so on. You will also get the options to add custom signs to the previous page and next page indicators. There are also other styling options including the ability to represent your navigation options as a drop-down list. Now, if you are looking for some simple and easy to use alternate WordPress pagination plugin, then Pagination by BestWebSoft is worth taking a look at. The plugin is super easy to use. All you have to do is install and activate the plugin, and it will set up a pagination system for your posts. You will get a dedicated settings page as well from where you will get to customize the plugin’s features and how it works. You will have the option to activate pagination system not only for your blog posts but also for categories, tags, author pages, and so on. There are also some customization options which can help you tweak the appearance of the pagination block, with the option to change its width, alignment, change the margin, add background colors, text colors and much more. Next up, we have WP-Paginate WordPress plugin. Installing and activating the plugin will integrate he WP-paginate page under the settings panel of your WordPress dashboard. It is from here you will get loads of options to help you control the plugin. Some of the options that you will get include the feature to tweak around with the pagination as well as the page links for the next and previous page options. However, you will have to use ASCII codes, HTML, or plain text to make these changes. Furthermore, there is also an Advanced Setting section from where you can add custom elements before or after the pagination. There is also room to configure how many page-links you will like to have before and after the current page. Theia turns the default pagination in WordPress into Ajax pagination or infinite scroll, whichever you prefer. Also, much like some of the other plugins in the list, you will also have the option to include a “Next/ Previous” button to the end or beginning of your post or page. Besides this, the plugin comes with loads of different animation styles which for the different pages. You will be able to change the loader image, add a custom class, and so on. 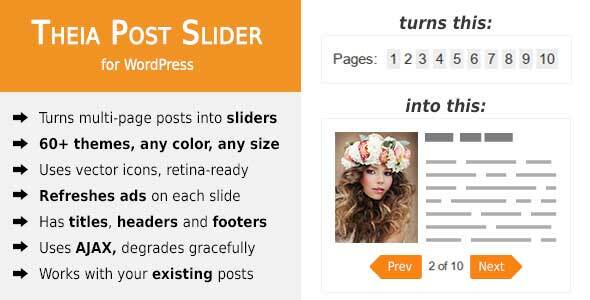 Theia post slider plugin is currently one of the best selling WordPress pagination plugin for viral websites. Sometimes you will find that dividing up a long post into multiple pages is also an effective method to improve user experience and user engagement. 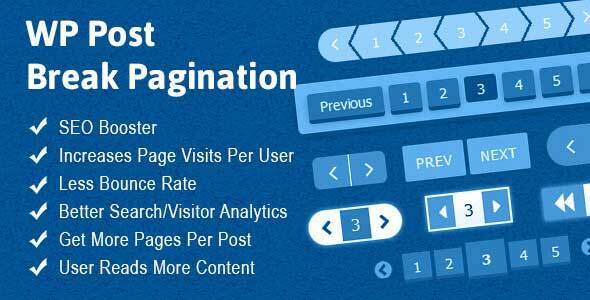 If you seek this functionality, then the Advanced Content Pagination plugin for WordPress will help you a lot. The plugin once installed and activated will help you to split up a long post into smaller chunks divided across multiple pages. 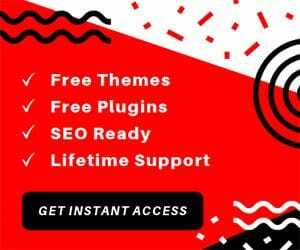 The plugin also delivers plenty of other useful features and especially customization options, which includes around five different button layouts, different content loading types, and much more. You will also get the option to place the buttons at the top or bottom of the post, as you see fits. Best of all, the plugin supports the use of shortcodes which makes it so much simple to break up your long posts into a multipage read. It is also compatible with Visual Composer. You will get the option to choose between a simple or Ajax pagination. As you might have guessed by the name, this WordPress pagination plugin will help out with your online store. The storefront Product Pagination plugin helps you to integrate a pagination system to your product pages, so it does seem like you have an endless stream of products which takes forever to load. It is worth noting that the plugin does require you to have the Storefront theme and WooCommerce plugin installed on your website. However, if you are running an online store using WordPress, you probably already have WooCommerce running in the first place. Furthermore, the Storefront theme is free, so there is no extra investment here as well. Now, once you have the plugin and installed and activated, you will get the option display a next and previous page links directly onto your single product page. There is also a dedicated customizer through which you can tweak the display of your pagination. 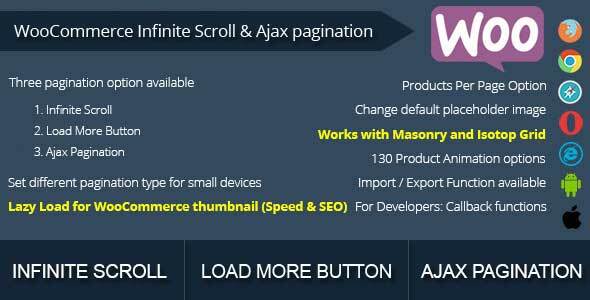 If you wish to have the flexibility to switch between a pagination view for your posts or feature infinite scrolling, then the Ajax Pagination and Infinite Scroll WordPress plugin is an excellent option. With the plugin installed, users will be allowed to load pages content using Ajax infinite scrolling, which will extend to all the posts, pages, search, custom posts, and even WooCommerce. 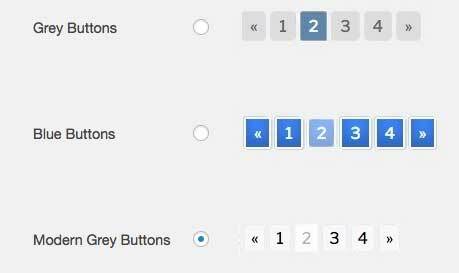 This WordPress pagination plugin supports three types of pagination options. The already mentioned infinite scrolling and the conventional pagination styles along with the option to boast a load more button on your website. Although the plugin is made available for free, it is loaded with plenty of useful features. You will get a detailed settings panel which will help you get the plugin working as you want. You can also set up multiple profiles which can be helpful if you run a blog as well as e-store on your site. With WooCommerce Infinite Scroll and Ajax Pagination, you will get the option to configure infinite scrolling effect, endless scrolling with a “load more” button, and an Ajax pagination system to your product pages. However, the best part is that you will be able to configure these pagination options based on different screen sizes. So while mobile users might find a “load more” button, desktop users will notice an Ajax pagination, or whatever you choose. You will also get plenty of customization options with the plugin. There are over 130 different animation styles to choose from, and the functionalities can work seamlessly with both masonry and isotope grid layouts. You will also have options to add a custom class, change loader image, and much more. Pagination is also an invaluable feature if you have a blog or website with a boatload of images. If an image is heavier in size, then loading them all-together can significantly increase your site’s loading time. Now with “Gallery Factory” WordPress plugin, you will be able to showcase all these images in a beautiful gallery with pagination functionality. Now, as you guessed already, this is not a dedicated pagination WordPress plugin. It is, in fact, a gallery plugin with pagination as a functionality. However, if your website does have a lot of images and you wish to paginate them, then this plugin will be of great help. A simple next page and previous page tags underneath your blog posts can become mundane and lackluster. 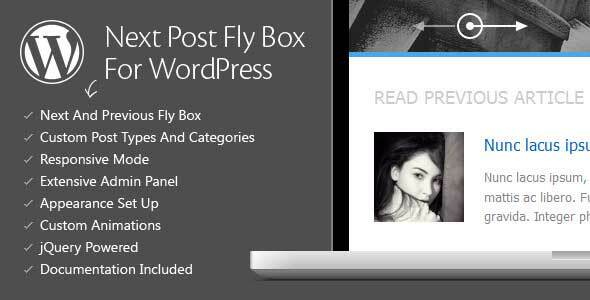 But, with Next Post Fly Box For WordPress installed, you will be able to create floating pop-up boxes on both sides of the window which can help users to navigate between the last post and the next one. This WordPress pagination plugin also allows you to set specific parameters to automate when you want the fly boxes to show up on your website. There are also options that let you configure if you want to showcase a featured image, title, or content excerpt on the fly boxes. Other options include animation support which allows you to set how you wish the fly boxes to appear, as well as dimension settings from where you can tweak around with fly boxes size. 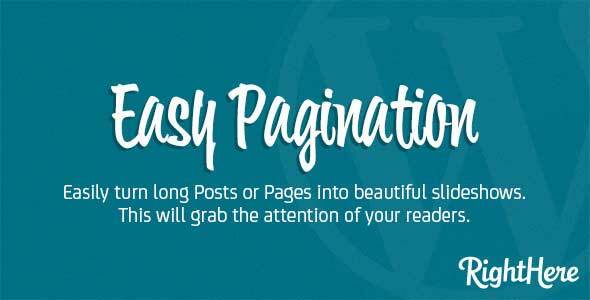 Easy Pagination WordPress plugin is a simple and effective means to help you turn your posts as well as pages into beautiful looking slideshows just by implementing a few tags here and there. If you wished to implement a pagination system that took some inspiration from featured post slider, then this is something worth taking a look at. This WordPress pagination plugin comes packed with around three different transition effects – horizontal, vertical, and fade, and also option to choose between 6 different navigation templates. Furthermore, you will also be able to combine the slider effects with 32 different jQuery Easing Effects. All this is just the tip of the iceberg when it comes to listing down all the features that the plugin provides to help you create a unique an engaging pagination system on your blog or website. We are almost at the end of our list, and for this entry, we have WP Post Break Pagination plugin for WordPress. It is a simple easy to use pagination plugin which focuses on customizability and improving your site’s performance and other statistics. 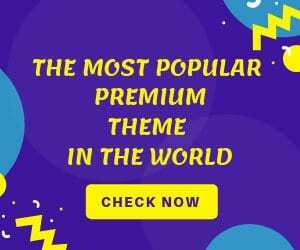 On the customization front, this WP pagination plugin offers you 26 different design coupled with unlimited color variations. Besides this, the plugin is also known to help boost your SEO score, increase page visits, and decrease bounce rates, all by making your site more readable and engaging. Any Other WordPress Pagination Plugin? So these were our picks for the best pagination plugins for WordPress. We hope you found this read to be helpful. Also, do let us know if you already use one of these plugins on your blog, and fill us in on your experience using it.